Bratislava has a rich coronation history, features works of great modern architecture, and offers varied cultural and social life. 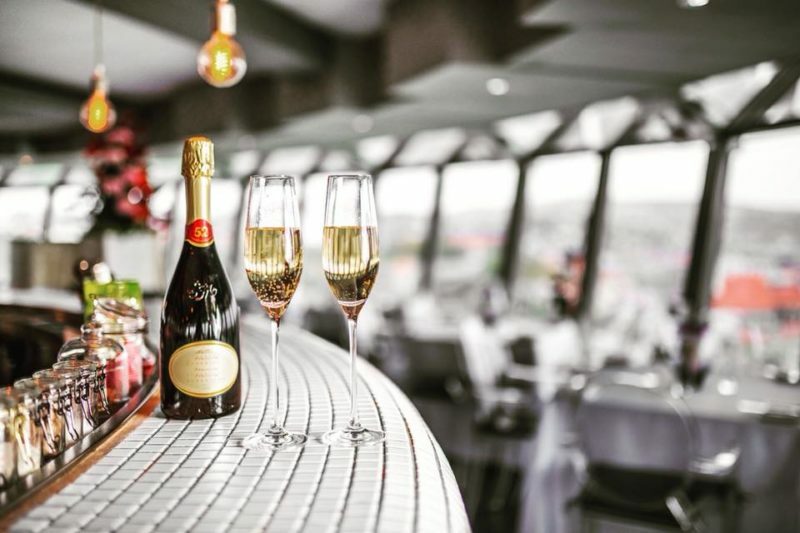 Enjoy extraordinary moments in Bratislava. The list of great hotels, restaurants, cafés and cultural scenes is inexhaustible. You will feel like a king in Bratislava thanks to the best selection of dishes and excellent local wines. At the UFO watch.taste.groove and Altitude restaurants in the Kamzík TV Tower you will surely be charmed away by a combination of great gastronomy and unique city views. The Savoy Restaurant will teleport you to the times of long-gone Pressburg with its Austro-Hungarian specialties. The best selection of the finest wines is waiting for you in the National Salon of Wine. The Salon presents the top 100 Slovak wines which succeeded in the top wine competitions. Book a wine degustation with a professional sommelier. The perfect weekend shall also include good coffee and excellent desserts with a unique design. 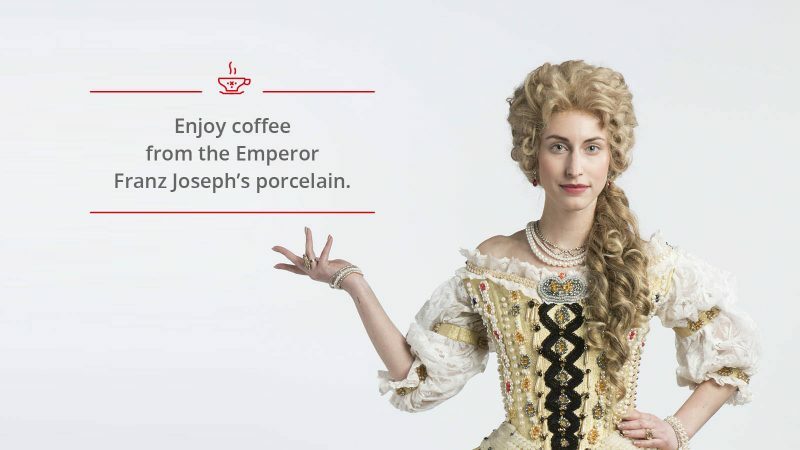 The walls of the confectionery Konditorei Kormuth are decorated with handmade frescoes best enjoyed with a coffee from Franz Joseph’s china. If you are looking for a royal accommodation, you have several options. Grand Hotel River Park, A Luxury Collection Hotel is considered the best hotel in the whole country. The River Bank Restaurant which as the first in Slovakia came up with the concept of “pure kitchen” offers top services. 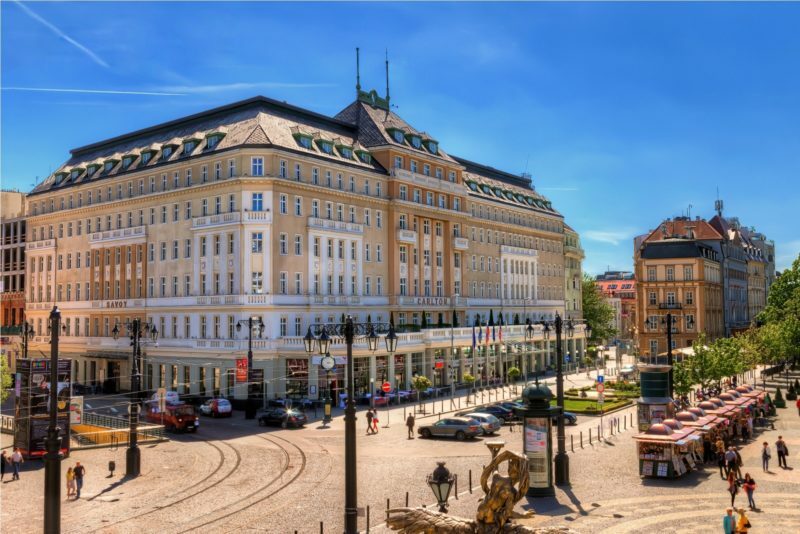 The prestigious Radisson Blu Carlton Hotel welcomes its guests in the heart of the historic center. The hotel is surrounded by restaurants, bars and cultural monuments. If you are interested in shopping, definitely book with the Sheraton Bratislava as the hotel is near the EUROVEA shopping mall and the Danube riverbank. Elegance and modern style with elements of history can be found at the Roset Boutique Hotel. Now you know where to sleep and eat like a king. So, what’s next? Experience Bratislava as it used to be centuries ago. Stroll down the historic center and follow the footsteps of Maria Theresa. Stop at the Renaissance Fountain built in 16th century by Maximilian II, the first monarch crowned in Bratislava, on the Main Square. Bratislava is full of culture, places to relax and have fun and do some sport. High quality classical performances of the Slovak National Theater, and the Slovak Philharmonic Orchestra, the center of the musical life of Bratislava, are a must-see. Bratislava is a city full of modern and traditional galleries. 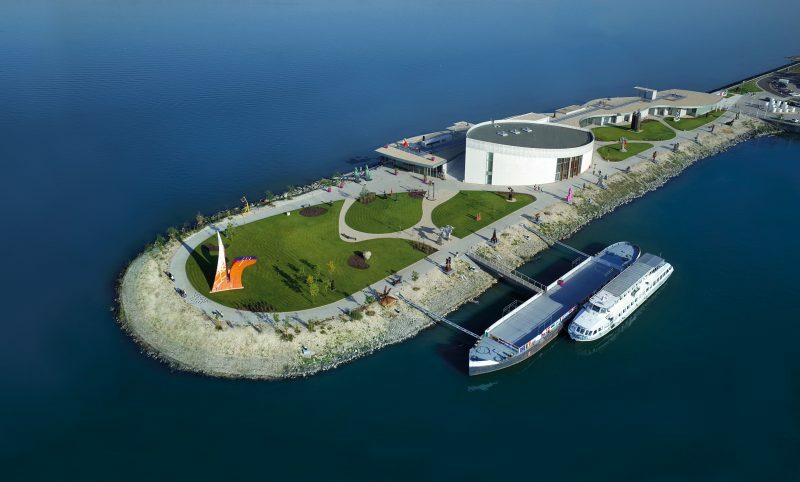 Apart from those most famous in the city center such as Nedbalka and Bratislava City Gallery, a trip to the gallery of modern art Danubiana is totally worth it. Its extraordinary design reminds of a ship stranded in the middle of Danube. In Bratislava, you can relax in nature without leaving the city center. Visit popular parks, gardens or city forests like Janko Kráľ Park, the oldest public park in the Central Europe or Železná studienka (Iron Well), the recreational site full of life where you can take a chairlift and enjoy greenery from an altitude of 186 meters. 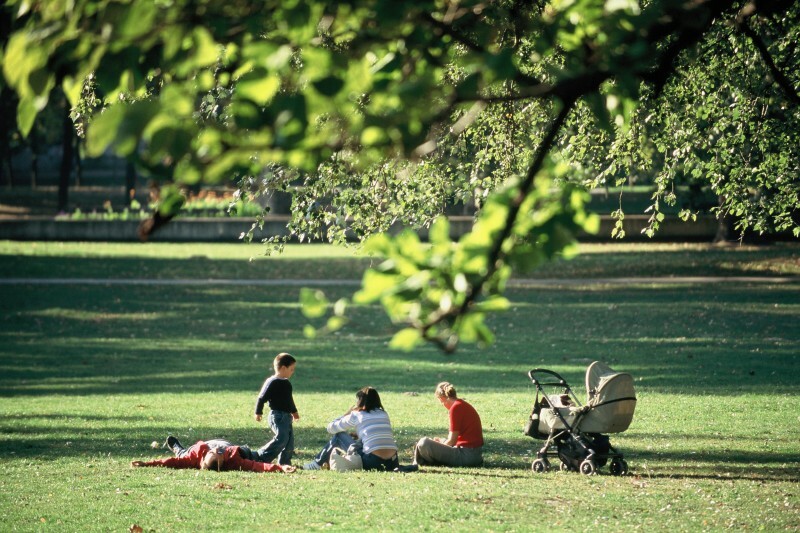 The Horsky Park is an ideal place for walking and sporting activities. Visitors can rest in the 130-year-old historical gamekeeper’s lodge. If you are done with numerous bars and clubs in the city center, do not miss the water sports area Divoká voda (Wild Water) in Čunovo and Wakelake Zlaté piesky. Have fun at the best parties or try some adrenaline sport. 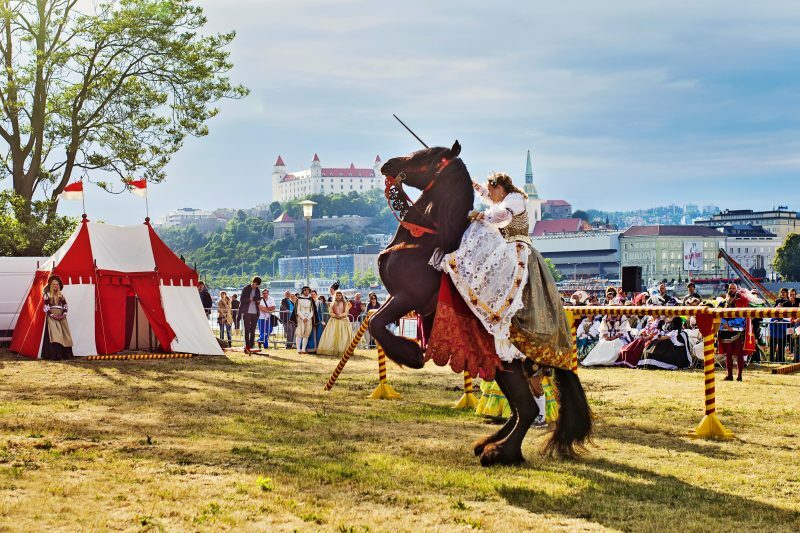 This year, we will celebrate the famous royal past of Bratislava thanks to a series of events that last the whole week! Together with Austria and Hungary, Bratislava will also take part in the celebration of the 301st anniversary of the birth of Maria Theresa, one of the most outstanding personalities of history, who was crowned in Bratislava in 1741. Visitors can enjoy the royal atmosphere at various spectacular cultural events, theater performances, sacral concerts, worships, music events with contemporary music and plays.